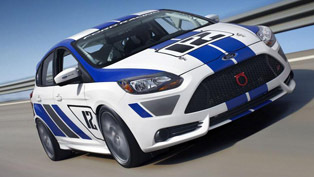 Besides the the new race car concept, Ford also presented at this year's LA auto show three aftermarket, 2012 Ford Focus Special Edition models. 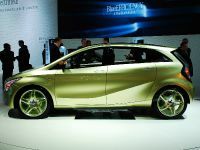 The first is developed by Ford Vehicle Personalization, the second comes from FSWerks and the third is 3dCarbon. 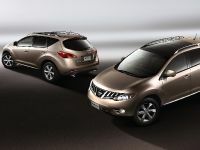 Hopefully, the three specially developed models will be more tempting for the more demanding customers. 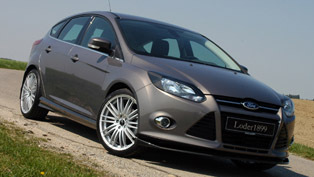 The 2012 Ford Focus Special Edition models showcase various upgrades, from alloy wheels and trick exterior pain schemes, to various performance upgrades and aerodynamic enhancements. 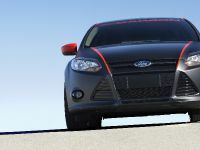 A Focus developed by Ford Vehicle Personalization shows just what can be done when customers add Ford Custom Accessories into the mix. 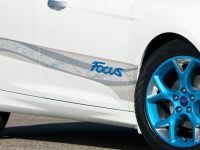 Working from a Focus covered in white tri-coat paint with hints of Caribbean Blue, the car features a new white body kit with an expressive concept graphic on the side panels. 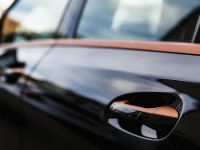 Caribbean Blue accents are applied throughout the car, including the belt moldings, headlamps, mirrors, wheels and fog lamp bezels. 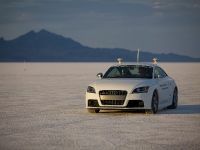 Liquid silver paint also was applied to the roof spoiler, mirrors, headlamps and fog lamps, showing off extra attention to detail. 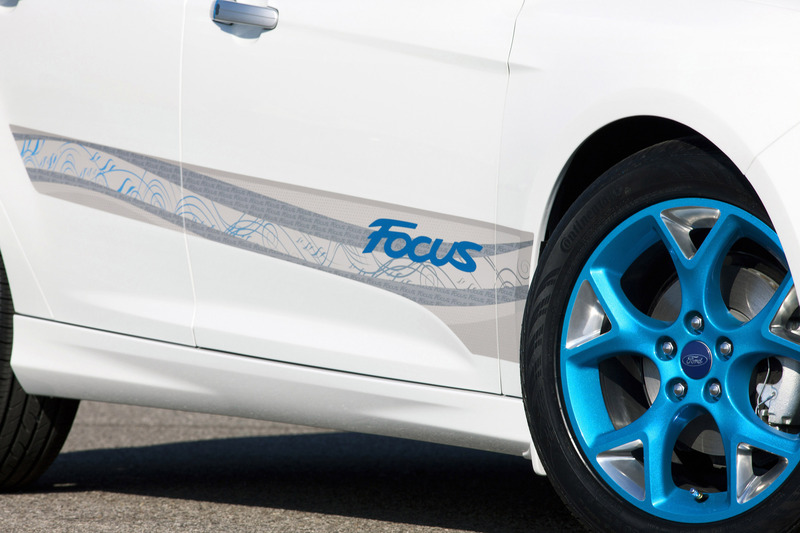 "We created a theme of an all-white vehicle with bursts of Caribbean Blue accents running throughout, which lends itself to many of the current trends seen in fashion," said Mark Conforzi, chief designer, Ford Vehicle Personalization. 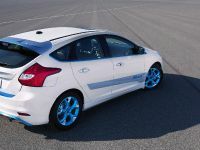 "White with dimension is a hot trend in Europe, and we found ways to incorporate that into our Focus in a manner that perfectly fits the vehicle." 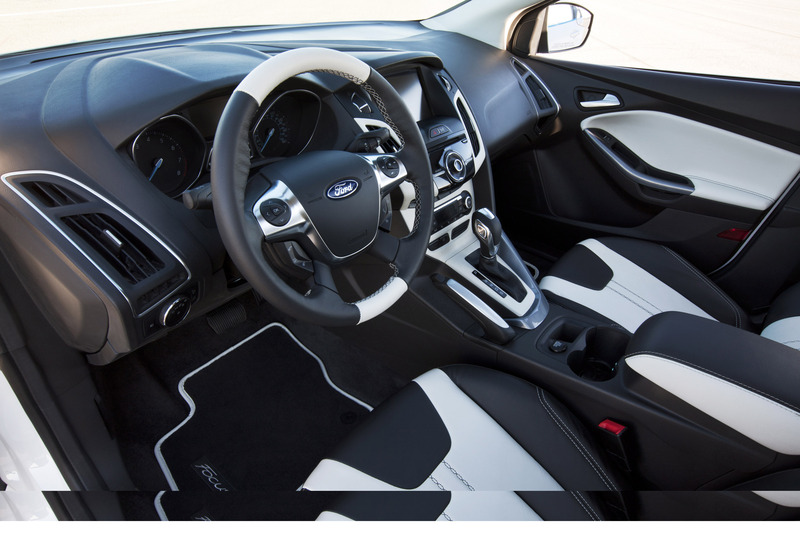 The interior uses a black and white theme featuring all-leather seats with accent stitching. 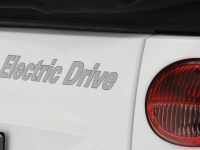 The steering wheel also showcases white and black leather, and the center stack features a soft-touch white paint. Unique etched scuff plates and aqua accent lighting round out the interior. 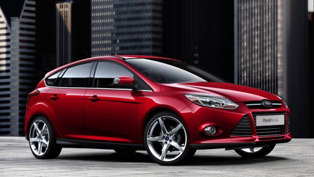 For FSWerks, the new Focus provides the perfect platform to add its own touch. 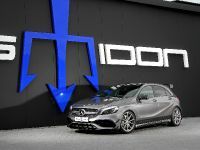 The modifications start with 19-inch DPE R16 wheels matched with Continental ExtremeContact DW tires and a 3dCarbon roof wing. 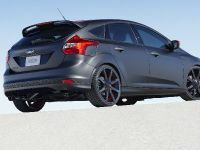 From there, performance cues include an FSWerks stainless steel performance exhaust that provides maximum flow and horsepower. 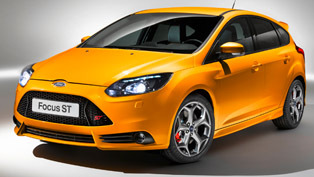 An FSWerks cold air intake, engine cover and front stress bar further set this car apart. 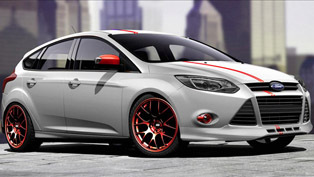 An H&R Springs coil-over kit lowers the Focus 3 inches, offering superior ride quality and an aggressive stance. 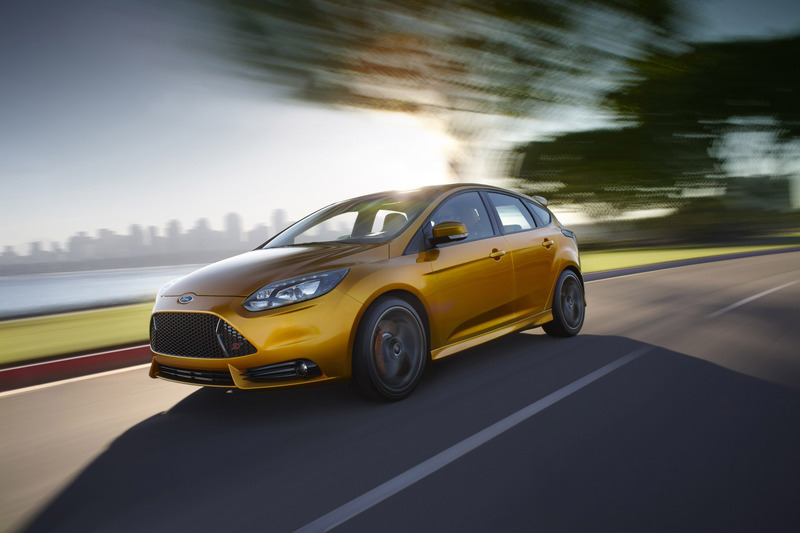 "What I find great about the new Focus is that it's a sporty, compact Ford with the global design our customers want," said Randy Robles, FSWerks vice president. "The previous Focus versions have been huge for us, so we're excited to continue that tradition." 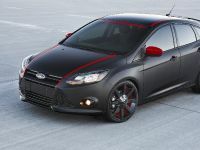 The Focus by 3dCarbon is sure to grab the attention of visitors to the Ford stand with its sinister looks complemented by 3M's unique VentureShield™ Paint Protection Matte Finish Film, which was installed by California C.A.R.S. 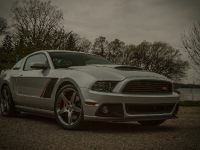 Smoked-out windows with 3M window film add to the tough but elegant look of this vehicle. 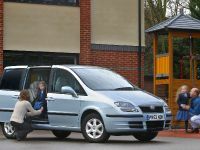 The wrap film can easily be installed and uninstalled to update the look of the car. 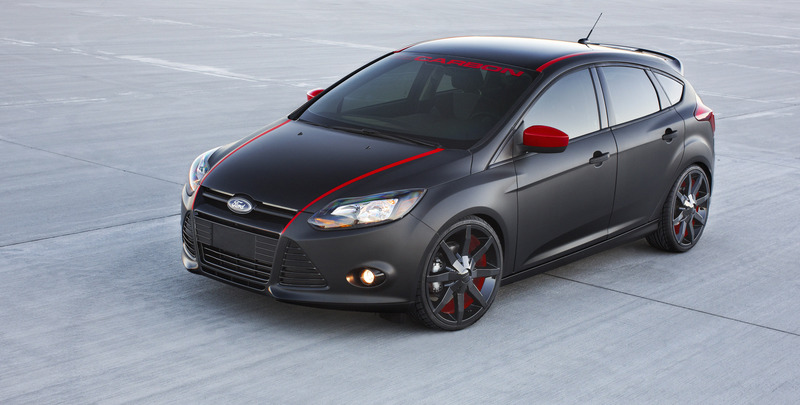 Except for the glossy black hood, the rest of the black body panels have a film foil wrap with a satin appearance. 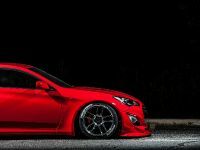 The 20-inch Series KM650-KMC wheels also feature the glossy black finish, highlighted with a red pinstripe. 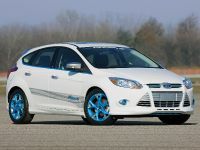 This Focus rides on Falken tires – FK452 – the true definition of an ultra-high-performance tire. 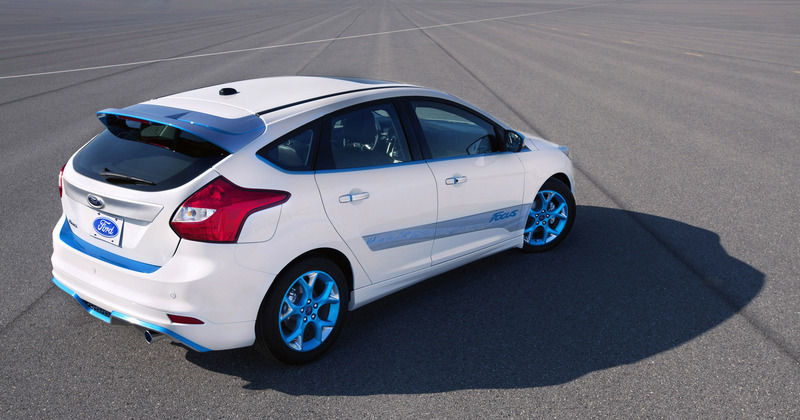 This Focus also sports a 3dCarbon roof wing that delivers enhanced looks and additional aerodynamic benefits. 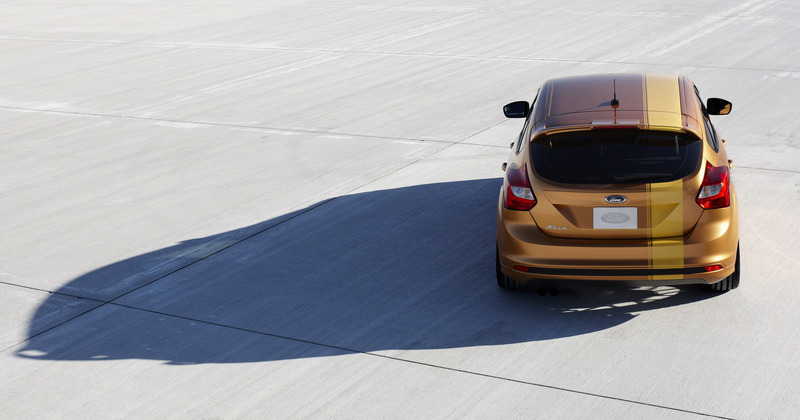 An H&R Springs sport spring delivers better handling and ride comfort, while an FSWerks cat-back exhaust offers style and functionality. 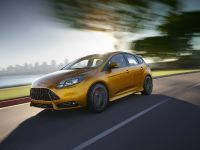 "This car builds on the already impressive styling of the new Focus with the unique touches we used, like the foil wrap and red accents," said Ernie Bunnell, 3dCarbon vice president of sales and marketing. 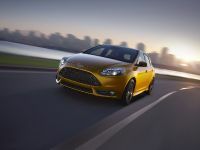 "The design of the Focus fits where the market is right now and the global appeal of this car is sure to be a hit with our customers."